Simon Gross is the ninth person evicted from the house. Earlier this week, in a game of nomination tag all Housemates bar Chloe and Marc faced eviction. The public has been voting to decide who should be the ninth Housemate to be publicly evicted from the Big Brother House. During tonight’s 9pm Channel 5 programme, Emma Willis announced live to the House that the two Housemates with the lowest votes were Simon and Jack. Emma then went on to reveal that the next person to leave would be Simon with less than 1% between them in the vote. Following the announcement, Simon had 30 seconds to say his goodbyes and left the house to be greeted by Emma and a mixed reception from the crowd. Speaking to Emma Willis following his eviction, Simon said: " I felt all day that my time had come. I never thought I would win this show. "I thought a younger person would win. I've been on a horrendous journey and I've learnt a lot about myself." Asked how he felt about the reaction: "I've had worse boos than that. I've been in worse pantomimes than that." Simon told Emma that he was "Jazz hands and showbiz but he can't be showbiz 24 hours a day and the makeup comes off." He went on to admit, "It is really tough in there, you lose yourself and it was tough being in a situation with people and forgetting about the outside world. It is like free therapy"
Simon went on to say "Marc is the brother I never had. I collapsed on the floor when he left I felt like my world had fallen apart. He was always there for me. I made a real friend with him." "I got to see the real Helen and she was really helpful to me and gave me some good advice. There are cliques it is a very young house and I felt the old fogey." Simon said that he thought Danny should win because he is honest and real and always there for him. "Showbbbiiiiiizzzzzzz! Oh, **** off! Showbizzzzzzz!" Good he gave the fans what they deserved. It's the most animated he has been since he went back in the house. Had to laugh at Emma having to drag him in for his interview. that was funny as hell. jack should have gone. He was, and then everyone bullied him into his shell. Now if only he was a bit more like that in the house (not all the time, I get its hard to be like that all the time) he would still be in there. He really wanted to pose for the cameras - doesn't he realise the public were booing him. With some pointy ears he could pass as a Mr Spock tribute act. Well you can't go round shouting Showbizz 24/7 and kicking you legs in the air! !..apart from that (which was extremely irritating and false)..he had nothing more to offer other than falsely claiming he loved everybody...which he clearly didn't. All Simon wants is for people to love him..adore him. 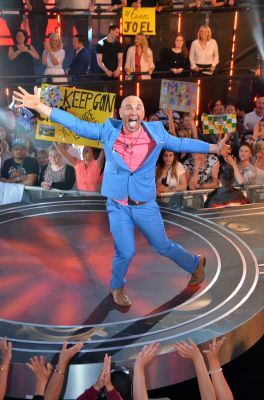 T'was a much anticipated eviction...well pleased with the result/...but the best eviction EVAH, has got to be Stu, from one of the early BB's...'Will a housemate please come to the diary room' Boom.